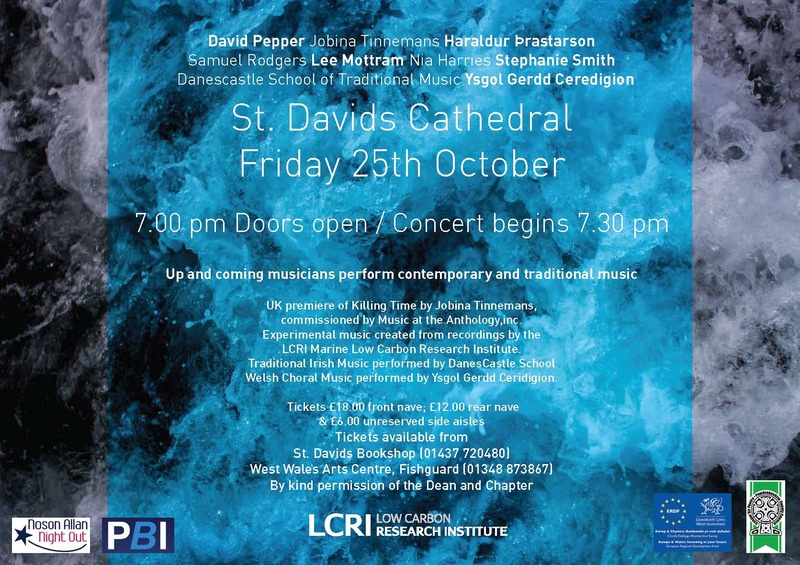 In St.Davids on the 25th of October, the ‘Killing Time’ composition will be performed in St. Davids Cathedral. This will be the first performance of the piece after it’s New York premiere. In Fishguard on the 22nd of November, the film ‘Killing Time in New York’ will be screened in Theatr Gwaun. 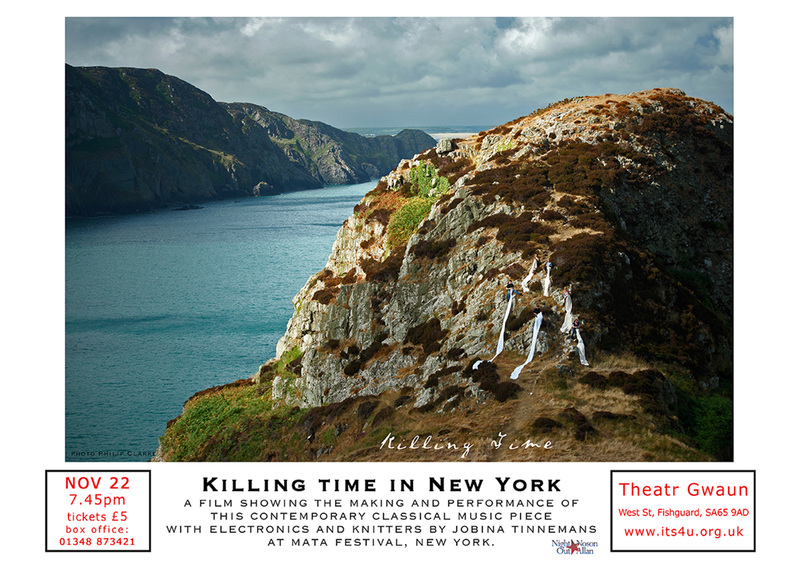 A film about the making of the composition in Pembrokeshire and performance of the work on the NY stage. It’s an evening filling program with an artist talk, exhibition of ‘behind the scenes’ artefacts and a live knitters ensemble music performance of a new music work made with knitters.